Now, Today, Tomorrow and Always brings together a range of artworks that explores how popular culture, and its vast compendium of imagery, language and materials has influenced recent contemporary art. The exhibition considers how popular culture, in particular music and films ability to provoke, liberate and seduce, has continued to be a source of inspiration for artists, while also reflecting on a diverse range of themes from subculture, fandom and marginal communities, to individual, collective and national identities. 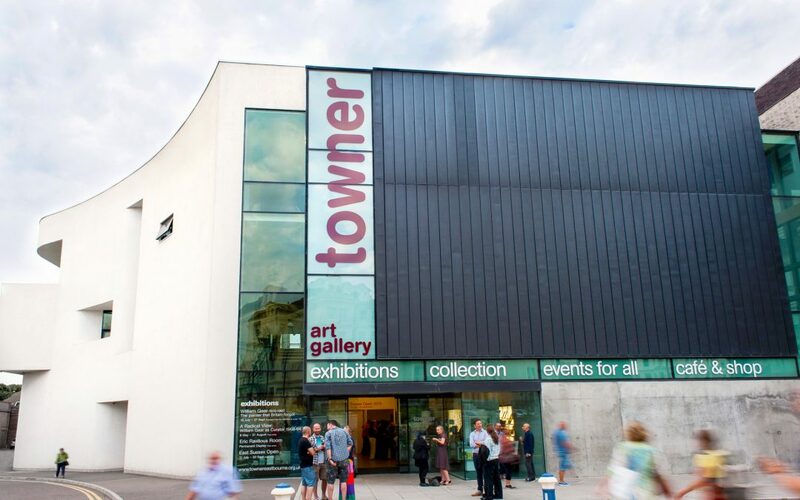 Encompassing painting, film, photography, sculpture and immersive installations, it features artworks from the Arts Council Collection and Towner Collection created by twelve leading artists including Fiona Banner, Phil Collins, Jeremy Deller, Graham Gussin, Anthea Hamilton, Jim Lambie, Mark Leckey, Mario Rossi, Kelly Richardson, Ross Sinclair, John Stezaker and Matt Stokes. The title of the exhibition takes its name from The Smiths song Shoplifters of the World Unite, a track featured as part of the album The World Won’t Listen, and referred to in Phil Collins work dűnya dinlemiyor.